Recently I have been gaining experience in different classes, sailing with new people with different skill sets. It has been so much fun and a great learning curve. Thanks to WAIS and Ron Tough for holding the Pacer Challenge, as well as FSC for the Fremantle Harbour Classic. Both were really fun events. 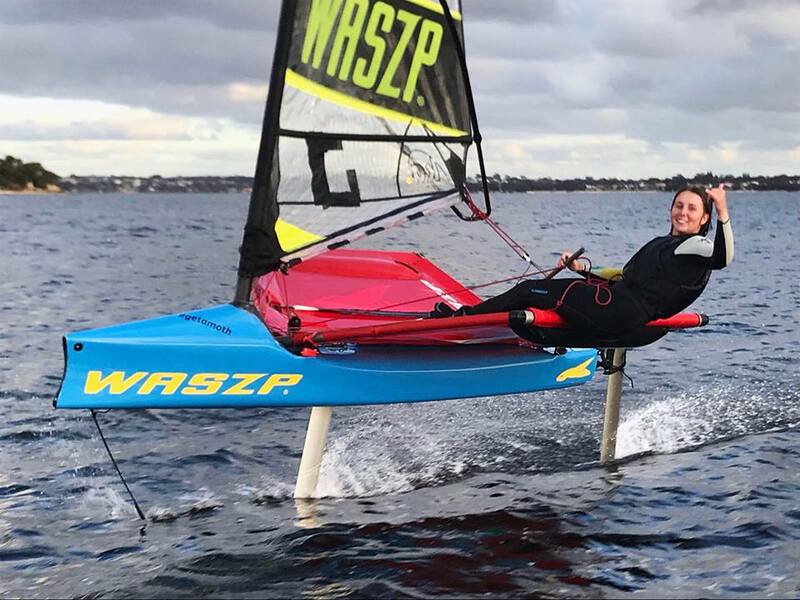 'Zoe Thomson knows that plenty of hard work separates her from the world’s elite Laser Radial sailors. But being surrounded by so many high achievers in her training and competitive environment gives the ex-Youth World Champion plenty of inspiration and opportunities. Thomson is one of our 19 sailors who will compete next week at the Tokyo 2020 Olympic Test Event at Enoshima. 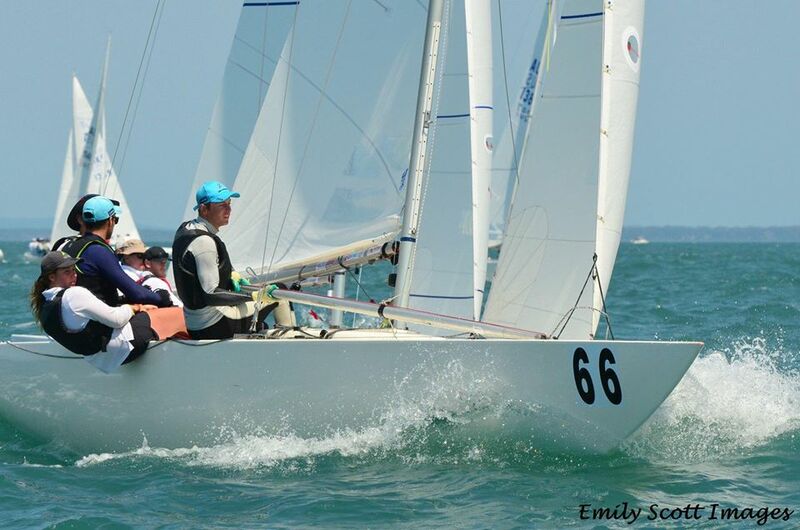 ️⛵""
The first trip included 3 regattas and a large amount of training. Kiel week was a very windy event with only 3 days of racing. Unfortunately with such a small series a Black Flag on day 1 was very costly overall leaving me in 20th out of 76 boats. From this regatta I was able to see some improvements in speed and tactical decision making from 2017, my best results being a 4th and 6th against top Radial sailors in the fleet. The gold fleet quickly reminded me just how critical each cross is in big fleet racing as well as how important the start is. A huge highlight of my time in Kiel was watching Zac Littlewood (my RFBYC training partner since 2014 in the 4.7) take out the Open Men’s Radial World Championship. I was so happy to see him rewarded for all of his hard work and determination. Next up was a long drive from Kiel, Germany to Poland for the U21 world championship. I felt fast, confident and in control. I ended up finishing 5th out of 65 boats. For me this was very disappointing after leading the event up until day 5 of 6, the conditions had changed in the last few days and I didn’t quite get in sync applying far too much risk and struggling to get off the start line. 3 months later I am still kicking myself at some of those decisions but that is Sailing and I will use this feeling to fuel me over the next few months. A short trip to Lake Garda was certainly enough to pick me up and off we headed to the 2018 Aarhus World Sailing Championships. I remember Perth 2011 being big but being an Athlete at this event was a totally new experience. Having the range of classes around and the whole Australian Sailing Team support system was very uplifting. I have just returned home from a successful (and humid) Laser nationals in Brisbane, Queensland. The event was hosted by Royal Queensland Yacht Squadron, greeted with 30+ degrees each day, summer storms and a range of breezes. The radial fleet had a strong 75 boat fleet which was a great opportunity to get bigger fleet experience as it can be very hard to find in Australia. Although we lost a day due to having no wind we mostly had moderate/building breezes for the regatta. I am very happy to have become The Radial Women's Australian National Champion for 2018 and 2nd Female overall behind Japan's Manami Doi (who recently came 3rd at the Open World Championships). I'm excited to take my learnings not only from the Nationals but the entire year and put in some solid training over the next few months ahead of the European season and look forward to the massive year ahead. A huge Thank-you to all of my supporters for 2017. Next up we drove back up to Sydney for some training and the 2017 Sail Sydney regatta. Racing in Sydney harbour proved to be challenging with big headlands and tidal influence, as well as having to dodge the Manly ferry. Again we were combined with the invited classes to produce more competitive and close racing, it was a great regatta providing many lessons and varied wind conditions. After having a very poor end to the regatta I finished a disappointing 6th overall and 3rd Female. A massive congratulations to my training partner Marlena Berzins on taking out the regatta. Now time to go home for Christmas with family and friends before flying out on boxing day for the final hit out of the 2017 summer season! A taste of the European circuit. I have just recently returned home from a relatively short trip to Denmark and Holland. An eye opening experience results wise, however a fantastic learning opportunity. I travelled to Europe solo but met up with coach Jared West and training squad of Mara Stransky, Elyse Ainsworth, Marlena Berzins and Annie Eastgate when I arrived in Hamburg. First up we drove to Aarhus, Denmark the location of the 2018 World Sailing World Championships to begin familiarising ourselves with the waters and a change of scenery to train in. It was the coldest conditions I have ever trained in with 8 degree air temperature and sub 10 degree water temperature for the first few days, although it was cold it certainly toughened me up. We had roughly a week of training with all conditions and were joined by Rio 2016 Bronze medalist Anne-marie Rindom amongst others for some practise racing at the end of the week. I really enjoyed Denmark and am excited to go back in August. 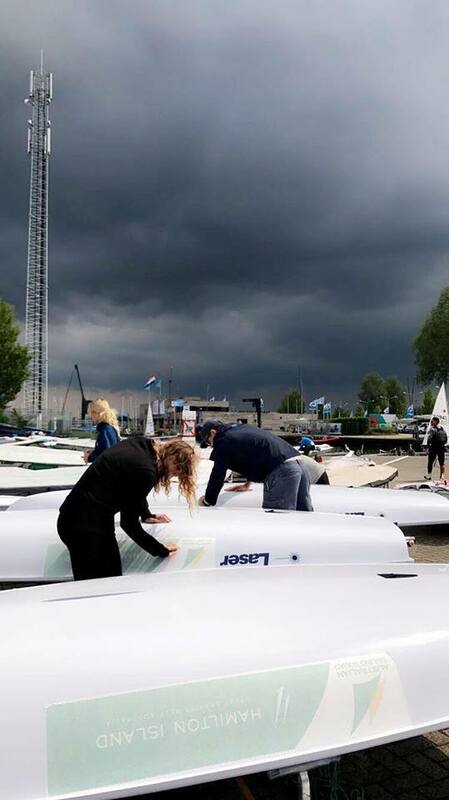 Next up we drove to Medemblik, Holland (9 hours in a packed van with the trailer on the back) to compete in our first ever open European event the Delta Lloyd Regatta, because Medemblik is the location of our class worlds this year it was a very hotly contested event in the Laser Radial. It was a great opportunity to line up next to and learn off the top girls in the fleet and observe how professional they are in what they do. The first day of racing brought 15-20 knots and saw me post some very big scores, I quickly learnt that every small mistake is very costly in such close, high level racing. I had subtle improvements on day 2 however with no drops in qualifying the poor scores from day 1 meant that I would be in silver fleet. With over half of the regatta to go I had to re-focus and take the opportunity to learn what I could in the silver fleet as well as sit back and watch the gold fleet starting. A huge congratulations to Manami Doi (JPN) who regularly sails out of Fremantle Sailing Club for her first major regatta win, she is an excellent example of what hard work and dedication leads you to achieve. I am excited to train as hard as possible over the next month as well as study for University exams before I take off for the big events of the year in July/August. 2016 proved to be a huge year not without it's challenges. At the start of the year I secured a scholarship in the WAIS (WA Institute of Sport) program which was really exciting. 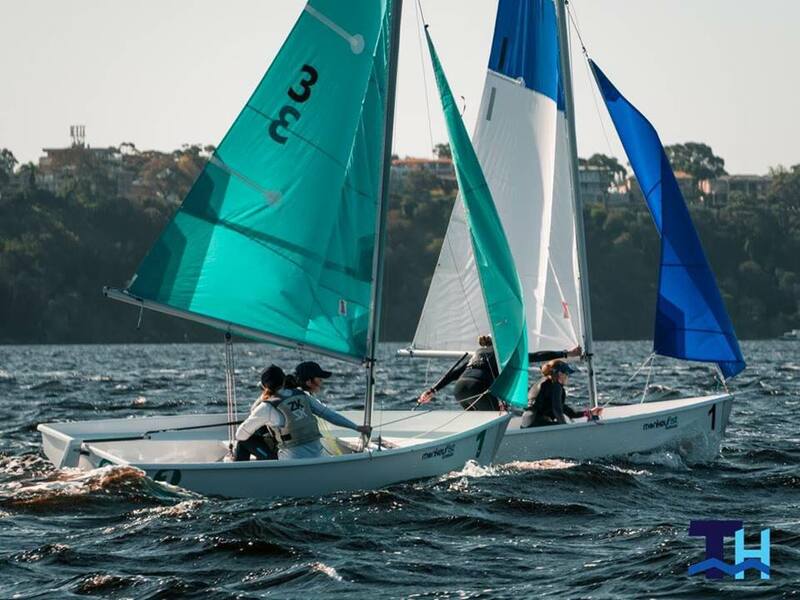 With my sights set on winning the World Sailing Youth World Cup spot for Australia I trained hard ahead of the deciding selection regatta in Brisbane. Winning convincingly I turned my attention the the ILCA Youth World Championships in Ireland my first international competition in the Laser Radial. I won! This was very exciting and I'll never forget my team mates hoisting my boat out the water with me on it chanting Aussie Aussie Aussie! On returning home I began to feel unusually tired and was diagnosed with glandular fever. 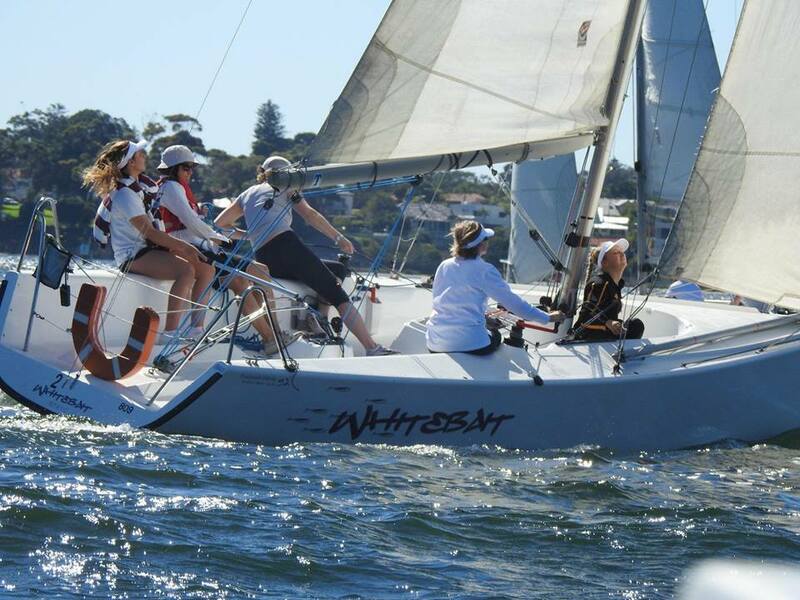 It was so frustrating as I was unable to train for upcoming major competitions that included Sail Melbourne and my Youth World Cup event in New Zealand. Under the circumstances I was pleased to achieve a place in the medal race and a credible 7th at the Youth World cup. 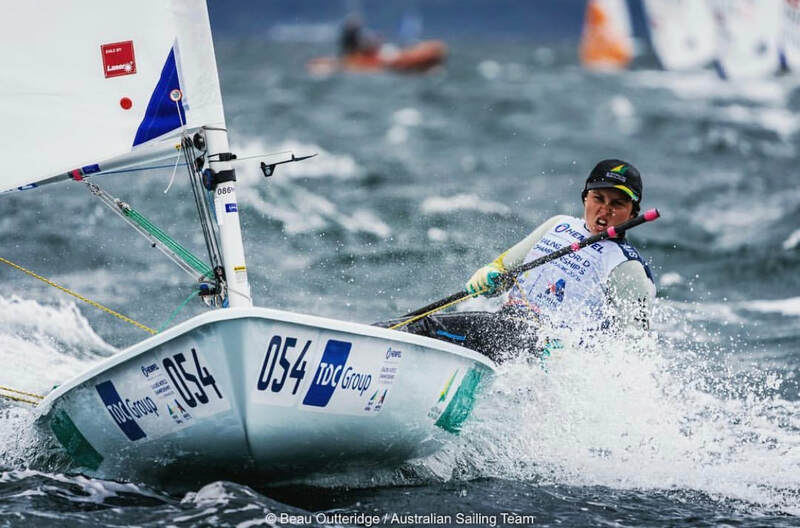 Follow my adventures as a member of the Australian Laser Radial Squad.